While the original Evangel School of Urban Church Planting was held in 2000, 2015 was the first time that TUMI officially certified other groups to run Evangel Church Planting Schools. 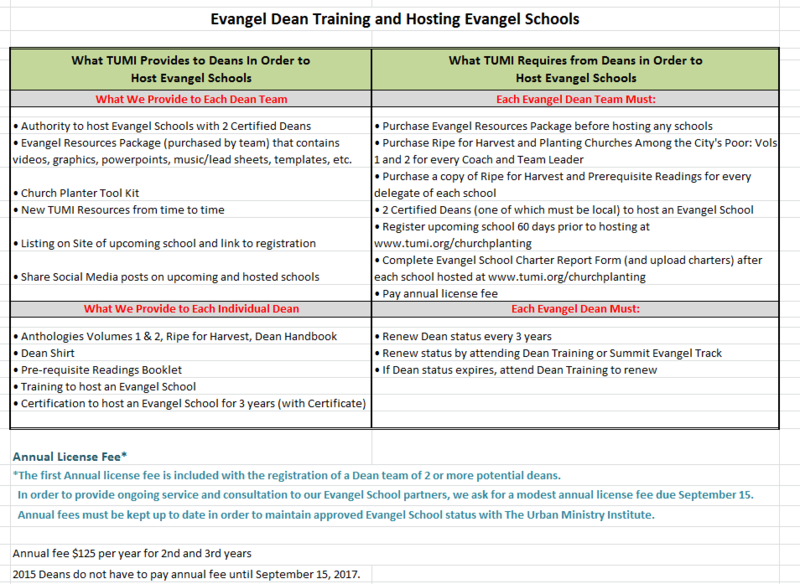 In order to host an Evangel School, it is necessary for each potential church plant school to send at least two deans for certification to an Evangel dean training. See the requirements below. Those who complete the training and are certified will be authorized to use Evangel’s textbooks (e.g. Ripe for the Harvest: A Guidebook for Planting Healthy Churches in the City; and Planting Churches among the City’s Poor, Vols. I and Vol. 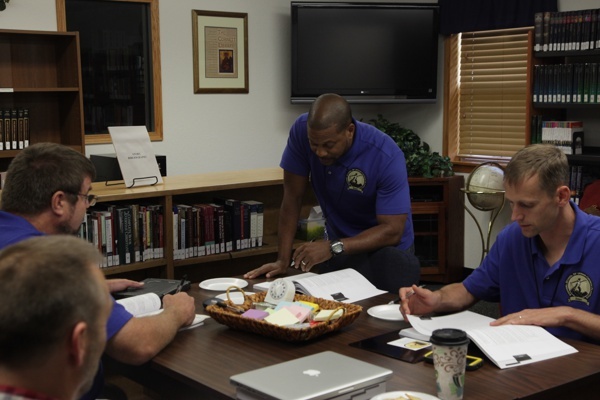 II), videos, power point presentations and other resources developed for Evangel Church Plant Schools in their own ministry contexts. Evangel Deans: Please register your upcoming school 60 days prior to hosting your school here.